I went on this hike with the Thunder Bay Hiking Association this past weekend. Hiking with these folks always reminds me of what an enjoyable social experience hiking can be. This is a beautiful hike along the river any time of year, but be aware there are some sections where you walk very close to the edges and could take quite a fall on a slippery day. Also this area is plagued by ticks during the times of year when they are out. The Pigeon River Trail is a trail the Thunder Bay Hiking Association has been working to reopen for several years. From what I am told this trail has been in existence for many years, but was not maintained and it had mostly grown in by the time the Thunder Bay Hiking Association began to work on opening it up again. I understand that the Thunder Bay Hiking Association might have plans to eventually open this trail up from the Old Pigeon River Border Crossing all the way to Fort Charlotte. There has been much work done, but there is still lots to do. Currently the trail is hard to find in places where the club has not yet been able to do the proper maintenance and flagging work. So make sure you are prepared to turn back when the trail becomes too difficult to follow. The Pigeon River Trail is located in La Verendrye Provincial Park. 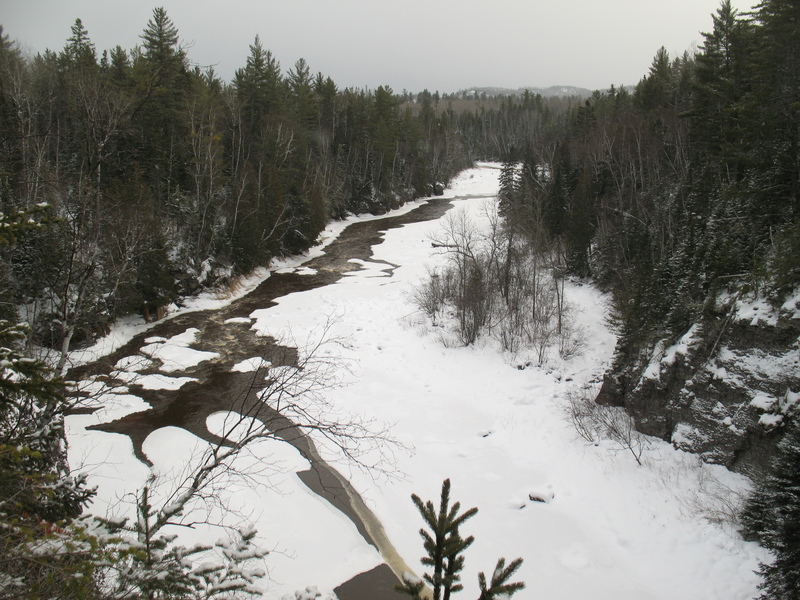 La Verendrye is a waterway provincial park that stretches from Quetico Provincial Park through Lake Saganaga, up the Pine River, across the Height of Land Portage, then down the Pigeon River to Pigeon River Provincial Park on Lake Superior. Imagine being able to thru-hike that whole way!